Setting up your favorite reports in sureFleet is easy. First, select Reports from the top right of the screen. On the reports screen, select Favorites. Next select Edit Favorites, at the top. From the list of reports, choose the reports that you would like to appear in your Favorites and then select Save Report at the bottom. From favorites, you can run all of your favorite reports. 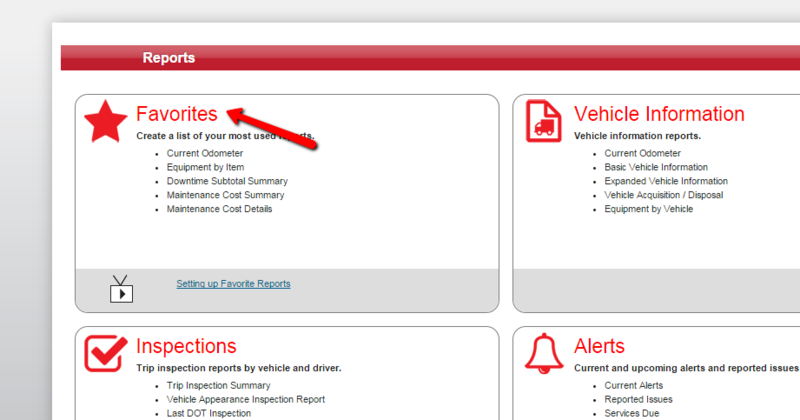 You can also see the complete list of your favorite reports on the Reports page.